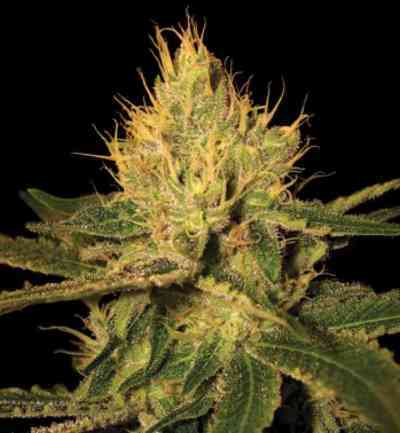 Sweet Seeds has crossed-bred their Black domina with an exceptional Jack Herer of pleasing and intense aroma similar to the haze of cathedral incense, resulting on one of their most powerful and highly productive plant. This variety produces long lateral branches plenty of abundant resinous buds giving the plant a sphere like form. This breed-crossing provides the plant a sweet aroma characteristic of black Domina that softens the deep incense aroma of the Jack. It has the great vigour of a hybrid, totally adapted to indoor conditions. Planted outdoor in earth, with enough sun, becomes a resinous and hairy monster as high as 3 metres.